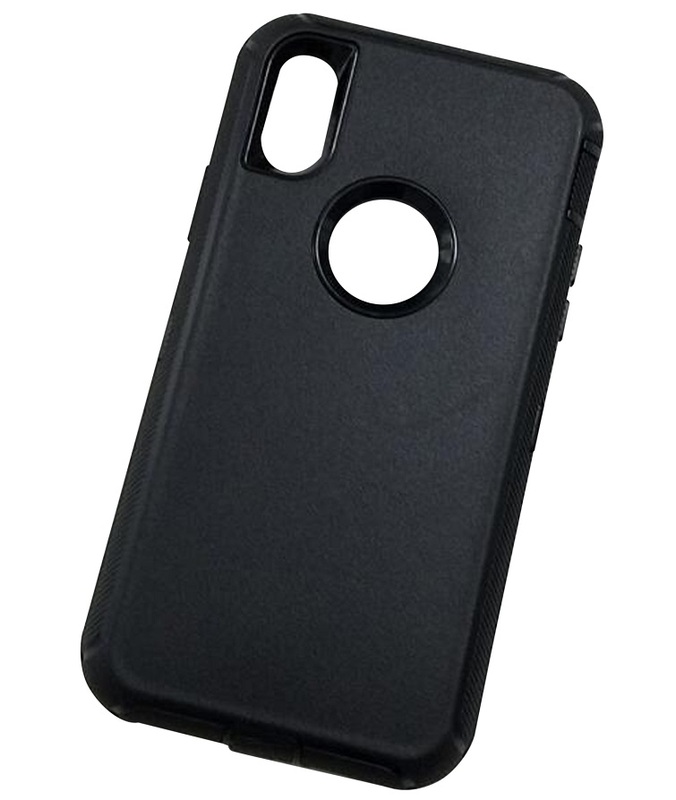 Rugged combo case for iPhone X & Xs. 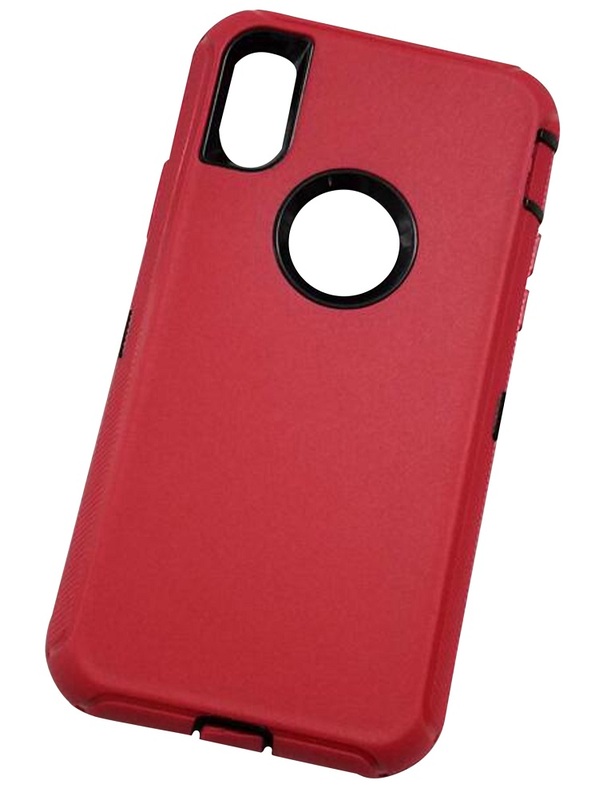 A combination of Silicone and Hard Shell snaps together in three pieces to make the ultimate protection for the phone! Protects the phone from bumps and very stylish. Price Includes One color logo in one location. Color: Black, White, Blue, Red. Various Colors. Material: Silicone, ABS Plastic.